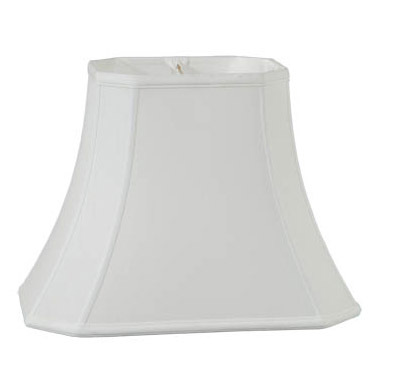 These Off White Cut Corner Rectangle style Softback Shades are available in the following colors: Off White, Eggshell & Black. Made with Tissue Shantung and lined in off white color satin material. These shades have a 1/2" fitter recess. No reviews yet for the Off White Tissue Shantung Cut Corner Rectangle.